Turn your bedroom into a place of elegance with with beautiful upholstered queen bed. The elegant French rococo button tufted headboard and footboard compliment the romantic feel provided by the shell crown and scrolled ornamental trim. 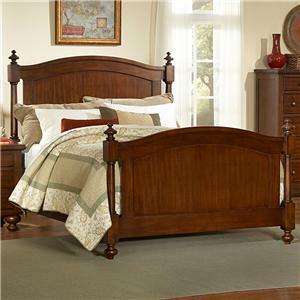 This bed is the perfect fit for any traditionally styled bedroom. The Chantelle Upholstered Queen Bed with Tufted Headboard by Acme Furniture at Carolina Direct in the Greenville, Spartanburg, Anderson, Upstate, Simpsonville, Clemson, SC area. Product availability may vary. Contact us for the most current availability on this product. Drawer / Shelf Construction Drawers feature a French dovetail front and English dovetail back, with side metal glides. Top drawers feature a felt lining. Case Construction Constructed from poplar wood with birch veneer. Nightstand and dresser feature a granite top. Browse other items in the Chantelle collection from Carolina Direct in the Greenville, Spartanburg, Anderson, Upstate, Simpsonville, Clemson, SC area.